Sky Park 3 Hotel has a Paris Baguette Bakery next to their lobby.. We going to have a light breakfast then our favorite Korean Fried Chicken in noon for lunch! Can you spot the mini bottle of milk? This milk plus+ is damn nice! 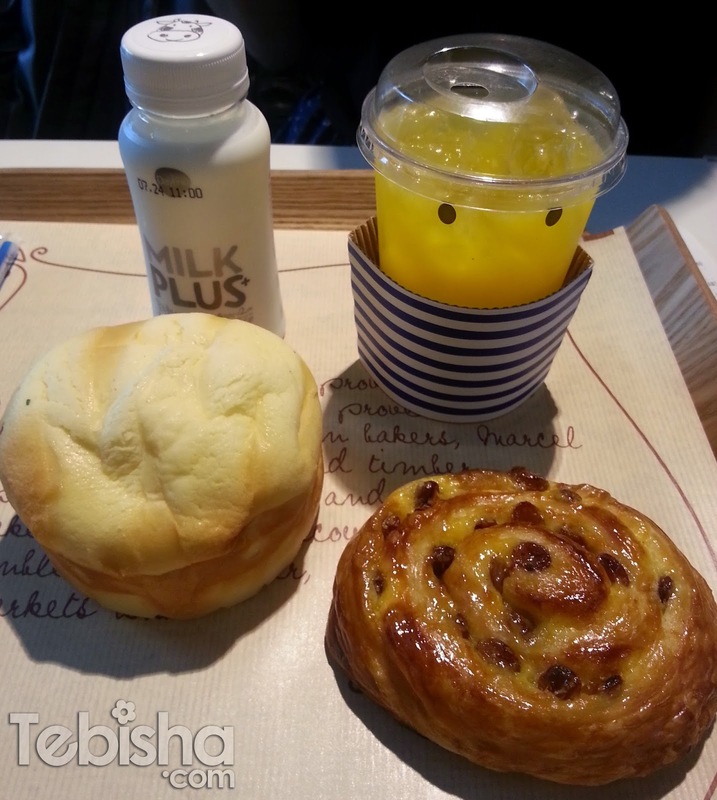 My BFF and I got addicted the last October when we were in Seoul.. It’s a must drink whenever I go Korea..
Only available in Paris Baguette Bakery. Since our hotel is within Myeongdong, we decided to go for some shopping first before we head to Apgujung for Kyochon Chicken & Kona Beans.. 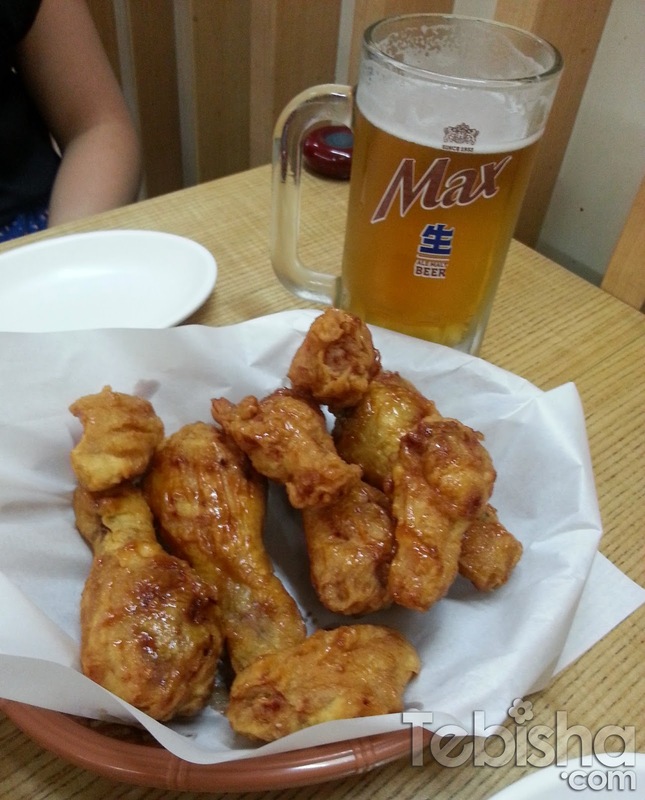 This is the Korean Fried Chicken I’ve mentioned! Kyochon Chicken!!! Best fried chicken I ever had! Must try!! But don’t go to the Apgujung outlet! The staff there tried to con us money!! We seen the poster on the wall and know that there’s a promotion going on, dine in Kyochon and spend above 18,000won, you will be able to redeem Super Junior picnic mat for free.. We asked the staff about the picnic mat and guess what? He charging us 20,000won for the picnic mat… WTF right? We don’t want to argue with him cause we can’t speak Korean well. Obviously, he’s trying to con tourist money, we didn’t agree to buy the mat. It’s dessert time! Kona Bean is just nearby to Kyochon Chicken so we head over for some coffee and cake..
Kona Beans Apgujung outlet was opened by 3 Super Junior’s mums. Lee Teuk’s mum, Sungmin’s mum & Kyuhyun’s mum. Must support support them.. Highlights of Day 2 will be Sungmin’s Musical “Jack The Ripper”. 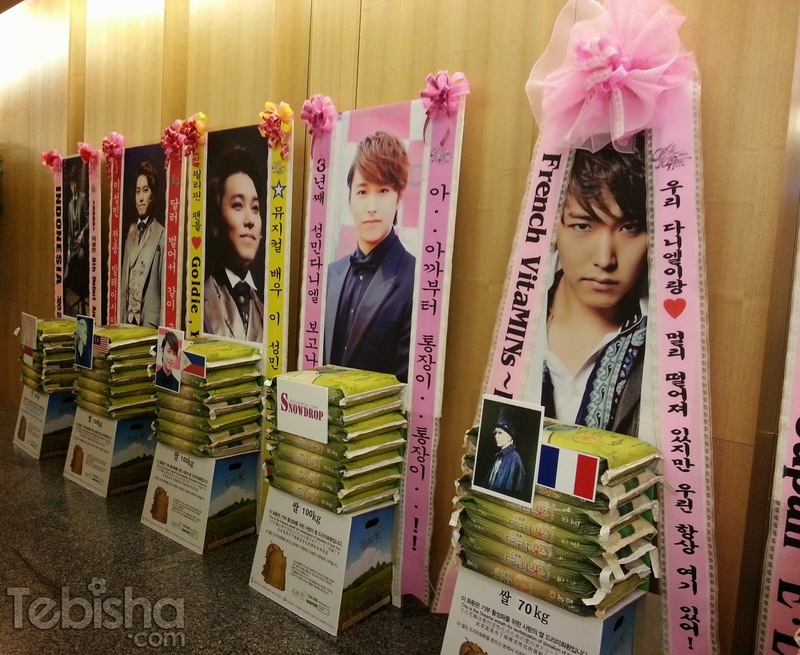 In Korea, fans support their favorite actor by sending Rice Wreath to them and it will place at the performing venue. The rice wreath will then donate to charity under their idols’ name. 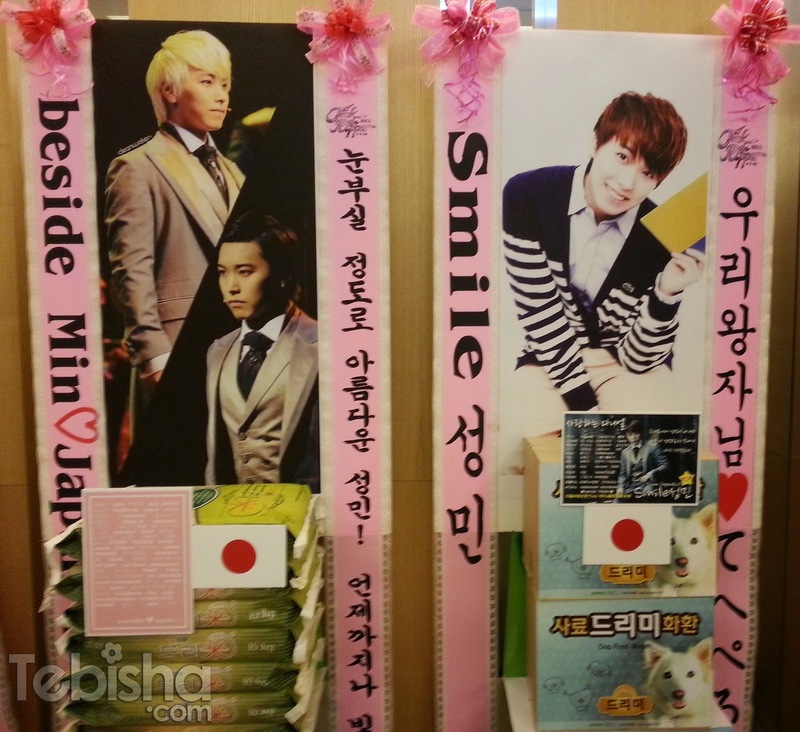 These are some of the rice wreaths that fans send in to Sungmin. I’m totally impressed by Sungmin’s performance.. His acting really gave me goosebumps, didn’t know he can act and sing so well… Didn’t regret watching Jack The Ripper. I love the exciting storyline and of cause the amazing performance by the cast as well. After this trip, I’m totally addicted to Korean Musical, although I don’t really understand. All the effort the cast put in, their dance, their singing and the act really makes me fall in love watching musical.. And its the best time you can get close to your favorite Kpop idol, cause the venue is quite small, seating are near to the stage, can see them performing really near you..